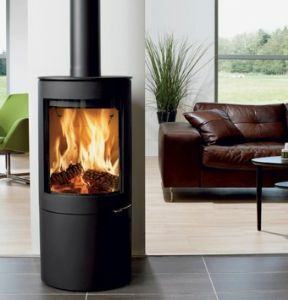 UNIQ 26 Contemporary wood burning stove with extra large glass area, Smooth design with hidden handle and log store. Quality new design with excellent burning charactistics. Very efficient wood stove. Minimalist design with extra large curved glass.